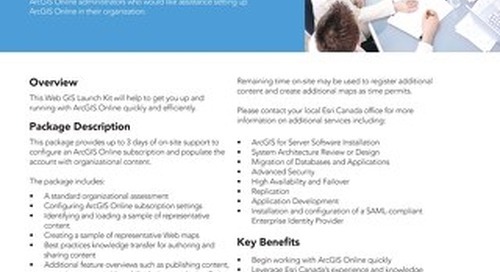 The ArcGIS for Outage Communications Launch Kit is designed to help your utility quickly and effectively implement a public-facing outage map and internal operations dashboard that leverages proven industry best practices. 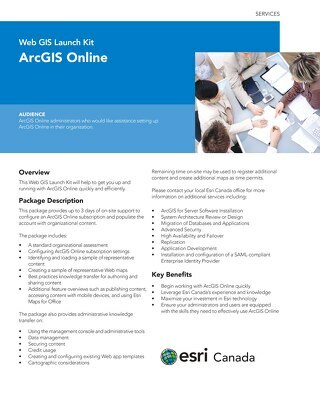 ArcGIS for Outage Communications is based on a highly configurable framework that can also be easily extended to include a number of complementary components, including integration with realtime systems, automatic notification services and other capabilities. 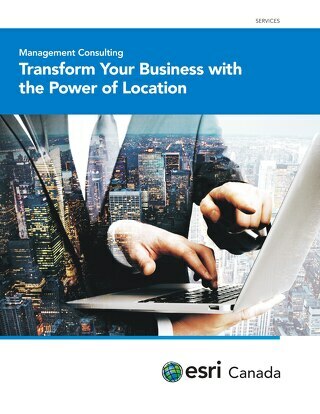 Designed for executives and managers, this service can help you transform your business through location by providing access to knowledgeable strategy and planning consultants. 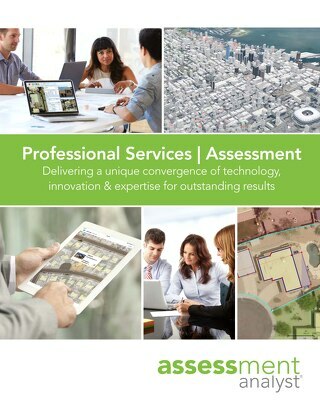 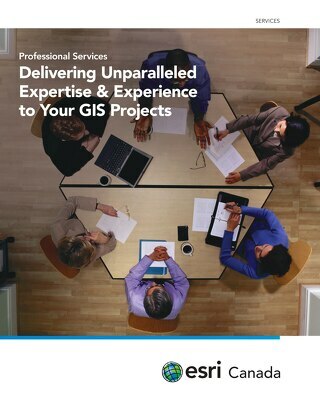 Discover how Esri Canada's professional services can help meet your GIS goals by providing unsurpassed business requirements, analysis, proven implementation services and project management. 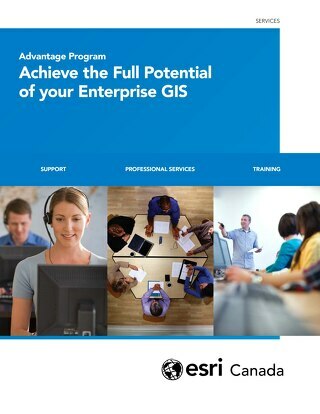 The Enterprise Advantage Program is a proactive, strategic planning and engagement framework designed to enable you to take full advantage of Esri technology in your organization. 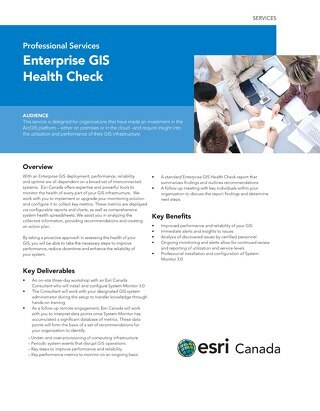 This service package is designed for organizations that have moderate to complex implementations of Esri products and require confidence that their architecture will perform to user expectations. 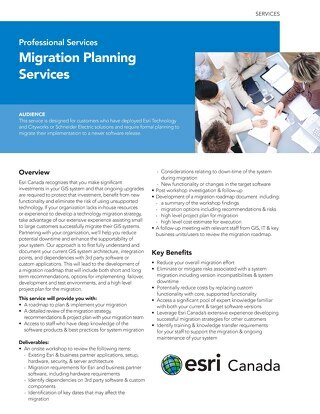 This service is for customers who have deployed Esri Technology and Cityworks or Schneider Electric solutions and require formal planning to migrate their implementation to a newer software release. 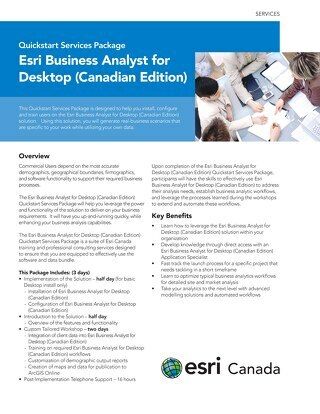 This Quickstart Services Package is designed to help you install, configure and train users on the Esri Business Analyst for Desktop (Canadian Edition) solution. 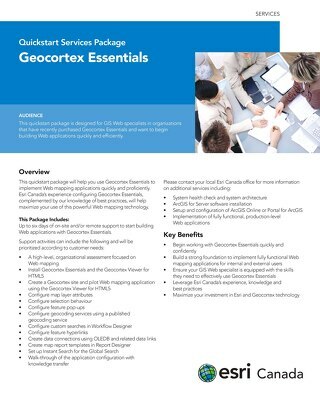 This quickstart package will help you use Geocortex Essentials to implement Web mapping applications quickly and proficiently. 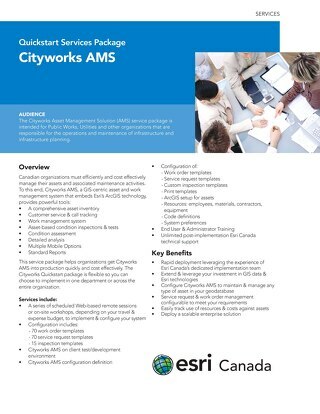 The Cityworks Asset Management Solution (AMS) service package is intended for organizations that are responsible for the operations and maintenance of infrastructure and infrastructure planning. 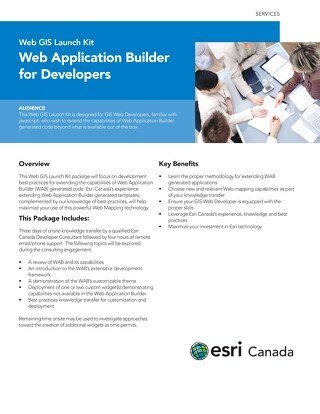 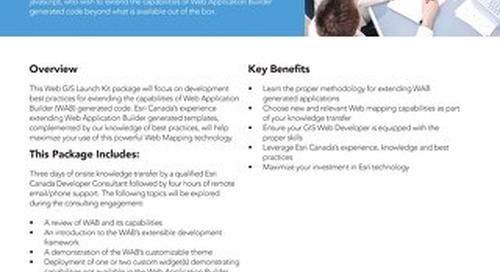 This Web GIS Launch Kit package focuses on the development best practices for extending the capabilities of Web Application Builder (WAB) generated code. 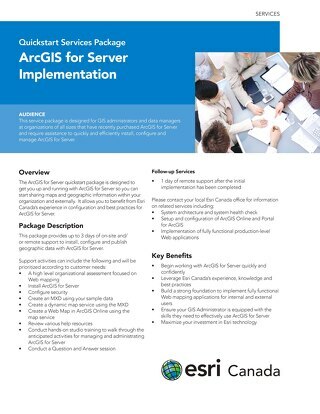 This launch kit is designed for ArcGIS Online administrators to get you up and running with the cloud platform quickly and efficiently through onsite installation and configuration support.